HiRISE (High Resolution Imaging Science Experiment) is the most powerful camera ever sent to another planet, one of six instruments onboard the Mars Reconnaissance Orbiter. We launched in 2005, arrived at Mars in 2006 and have been imaging ever since. Our camera’s high resolution capability (imaging up to 30 centimeters per pixel) remains unprecedented for any existing orbiter in the study of the Red Planet, as well as being an indispensable instrument for helping to select landing sites for robotic and future human exploration. In the past decade, we’ve also imaged avalanches in progress, and discovered dark flows that may or may not be briny seeps. Hundreds of science papers have been published with our data. 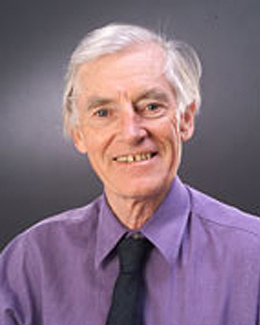 Co–Investigator John Bridges is professor of planetary science at the University of Leicester, UK. 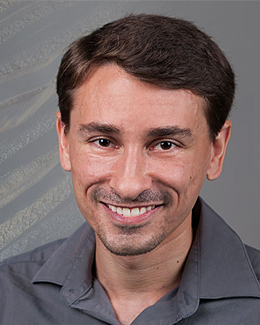 His research uses a variety of imagery and mineralogical studies (SNCs, rover data) to trace the effects of water in the Martian crust, and in particular HiRISE for ExoMars2020 landing site characterization. He is also a participating scientist on the Mars Science Laboratory Curiosity rover, a member of the ExoMars 2020 Landing Site Selection Group and the CaSSIS camera team. 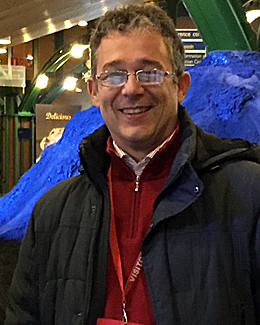 Co–Investigator Gabriele Cremonese is an astronomer working at the Astronomical Observatory of Padova (INAF) in Italy. 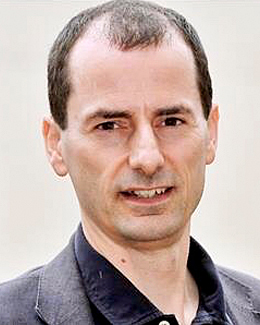 He’s involved in several European Space Agency (ESA) planetary missions as principal investigator of SIMBIO-SYS on BepiColombo, co-principal investigator of CaSSIS (the stereo camera on board ExoMars TGO), and deputy principal investigator and instrument scientist of Janus, the camera on board JUICE. His work for the BepiColombo mission involved a new concept of stereo camera (STC) based on an original optical design and the push-frame. His main research topics are study of planetary surfaces and comets. 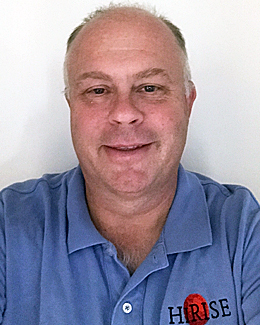 Co–Investigator Alan Delamere is an instrument builder who managed the final development of the Giotto camera, analyzed the resultant data, and oversees development of the instruments and spacecraft systems. 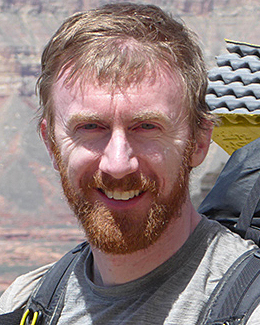 Co–Investigator Colin Dundas is a research geologist with the U.S. Geological Survey Astrogeology Science Center and is the mass wasting science theme lead for HiRISE. He studies active processes on Mars, particularly changes on slopes, and is also involved in studies of frost, ground ice, and volcanism. 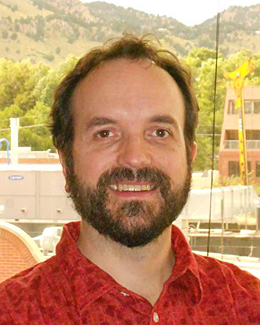 Co-Investigator Paul Geissler is a research geologist at the Astrogeology Science Center of the US Geological Survey. His expertise is in image processing and remote sensing, and he is interested in geological processes across the Solar System that are active today. His studies of Mars are focused on aeolian processes, including the motion of sand dunes, the activity of dust devils, and the effects of regional and global dust storms that alter the appearance of the surface of the Red Planet over time. Co-Investigator John A. Grant is the science theme lead for landscape evolution and future landing sites for HiRISE. He is also on the science teams for the Mars Exploration Rovers Spirit and Opportunity and the Mars Science Laboratory Curiosity and serves as co-chair for the science community process for selecting the landing site for the Mars 2020 rover. His research focuses on understanding how changing degradation processes have shaped the landscape of Mars over time. Co–Investigator Virginia Gulick examines erosional features on Mars, looking for the tell-tale signs of running water and is science theme lead for fluvial processes for HiRISE. 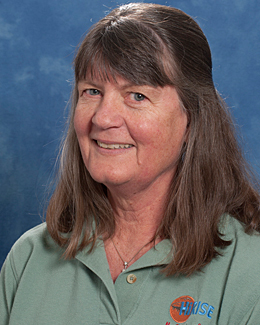 She has also led the development of a web-based, image target suggestion tool which will allow anyone (especially students) to offer their opinions as to which Martian features should be photographed with the MRO, and then allow them to collaborate in the analysis of the photos. 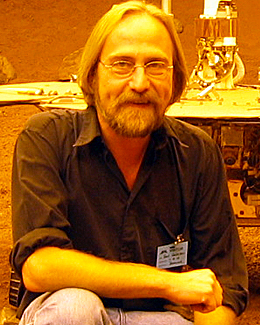 Co-Investigator Laszlo Kestay (formerly Keszthelyi) is the science team member who oversees volcanology done with HiRISE. He is with the U.S. Geological Survey’s Astrogeology Science Center and has been involved in the Galileo, Lunar Reconnaissance Orbiter, and ExoMars Trace Gas Orbiter missions. His motto of “the more lava the better” has led to a focus on flood basalts. 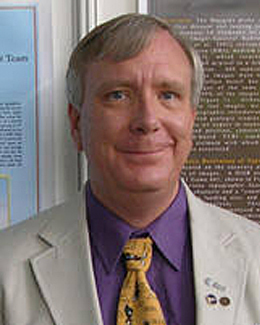 Co–Investigator Randy Kirk developed unique software for photoclinometry and pioneered the application of digital photogrammetry to planetary optical and radar images, leading to the production of controlled image mosaics and digital topographic models of bodies from Venus to Triton. 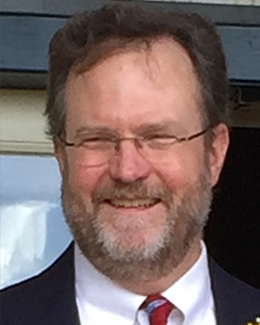 He is a member of the NASA Mars and Lunar Cartography Working Groups, the IAU Working Group on Cartographic Coordinates and Rotational Elements, and member (past chair) of the ISPRS Planetary Mapping Working Group. Since 2014 he has been a Scientist Emeritus at the USGS. Co–Investigator Mike Mellon focuses on studying Martian geology and climate, including, as central link between these two, water. In his work, he investigates where water could be located and what geologic evidence can tell us about its possible planet-wide distribution. He also studies how water is related to the Martian climate and how the climate changes in time. He is the HiRISE science theme lead for glacial and periglacial processes, as well as rocks and regolith. 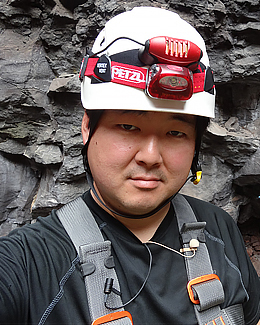 Co–Investigator Chris Okubo is a research geophysicist with the U.S. Geological Survey’s Astrogeology Science Center and is the science theme lead for tectonics. He is also a co-investigator with the Colour and Stereo Surface Imaging System (CaSSIS) on the ExoMars Trace Gas Orbiter. He studies faulting, folding and other deformational processes on planetary surfaces and also investigates the geologic histories of Earth and other planets through surface and subsurface geologic mapping. 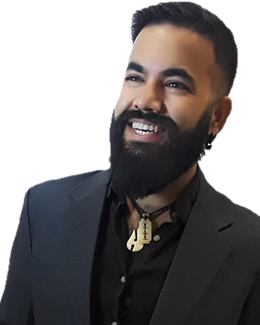 Co–Investigator Lujendra Ojha is an assistant research scientist and a Blaustein postdoctoral fellow at the Johns Hopkins University. His research includes work on spectroscopy, geodynamics, geomorphology, numerical modeling, and seismology. In addition to HiRISE, he is a co-investigator on CRISM and a science team member of the InSight mission to Mars. 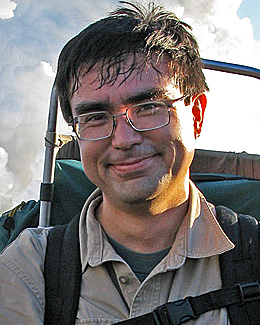 Co–Investigator Nick Thomas focuses on the study of ices on planetary bodies such as comets and Europa in addition to Mars. 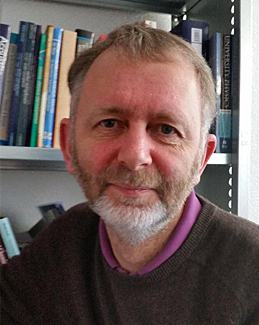 He joined the University of Bern in 2003 as professor of experimental physics and has subsequently led the hardware development for the BepiColombo Laser Altimeter and the camera for the ExoMars Trace Gas Orbiter, CaSSIS, for which he is also principal investigator. 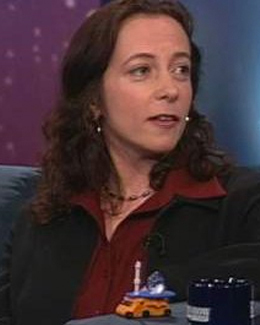 Co–Investigator Cathy Weitz is the science theme lead for sedimentary and layering for HiRISE. 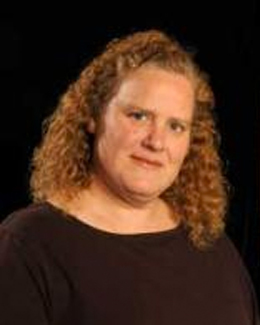 She is also a collaborator on the science teams for the Mars Exploration Rovers (MER) and the Mars Science Laboratory (MSL) Curiosity rover. 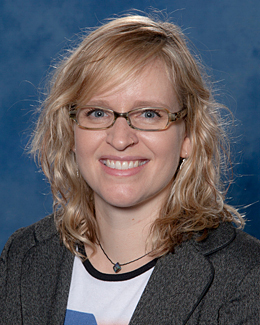 Her research focuses on mapping out the distribution and stratigraphy of sedimentary deposits in order to understand the geological processes that emplaced them. 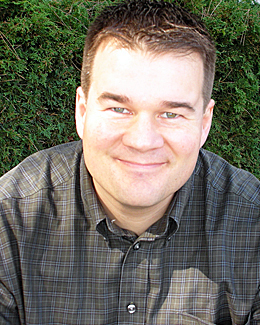 Co-Investigator James Wray is an associate professor at the Georgia Institute of Technology. He is also a co-investigator on MRO’s Compact Reconnaissance Imaging Spectrometer for Mars (CRISM) instrument, a co-investigator on the ExoMars Trace Gas Orbiter’s CaSSIS camera, and a collaborator on the Mars Science Laboratory (Curiosity rover) mission. His research centers on exploring the compositional stratigraphy of planetary surfaces (especially Mars) to infer how their environments evolved over time. He is the science theme lead for composition and photometry for HiRISE.